Here’s an inspirational watch to break through the doldrums of winter. 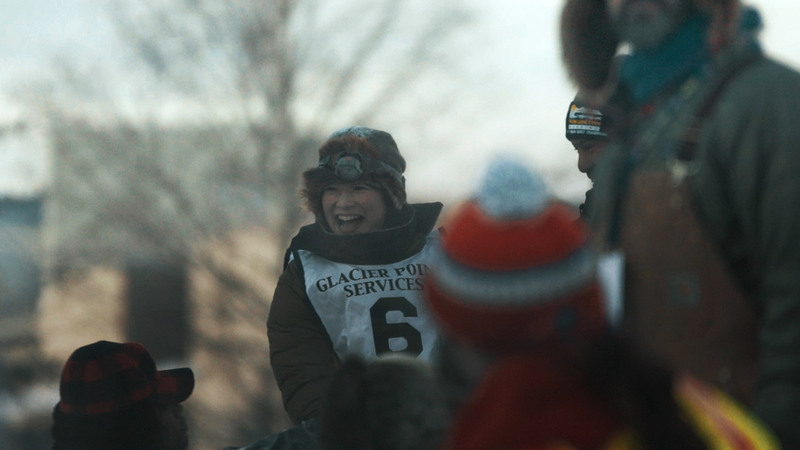 Naomi Mark and Vivian Belik’s aptly named short documentary Underdog follows a Japanese expat as she prepares to compete in the Yukon Quest—a 1,000-mile international sled dog race run every February between Fairbanks, Alaska and Whitehorse, Yukon. This alone makes for a compelling story, but the procedural elements of the sport are equally fascinating, and thankfully, Mark and Belik’s film doesn’t shy away from visually examining the process. This means lots of picturesque shots of Alaskan landscapes and slow motion footage of dogs running in the snow (yeah!). Simultaneously, it also touches upon the physical endurance it takes for one to compete in such a trying sport. In other words, excellent documentary material. Mark and Belik take things even further by really diving into the emotive core of this story. Yuka, the film’s subject, is grieving over her mother’s recent death from cancer. This bereavement gives her further impetus to battle any obstacle in her way—from economic to physical—in order to complete the race, as it was her mother’s dying wish for her to cross the finish line. It’s the kind of thing you would consider cliché if written into a scripted narrative, but in a documentary, the material resonates all the more because it comes off as honest, not manipulative. Mark and Belik do an excellent job of never forcing the emotive elements in a way that feels heavy handed. With our recent feature of the documentary Luchadora, it’s great to see more and more short documentaries by female filmmakers in predominately male-centric fields. In this case, dog mushing—a sport that is very much male-dominated—is given a unique perspective that feels personal, honest, and well-crafted. Both directors are hard at work on other projects. Belik is in development on a feature documentary, The Ontario Project, which investigates guaranteed income in Canada. Naomi Mark has just completed an hour-long documentary Show Me What You Care About, which will be traveling to festivals in 2017. She is also about to complete production on a feature documentary about beekeeping titled How to Bee.